The Title of the Show will be called "Purpose Driven, Discovering Your Purpose". 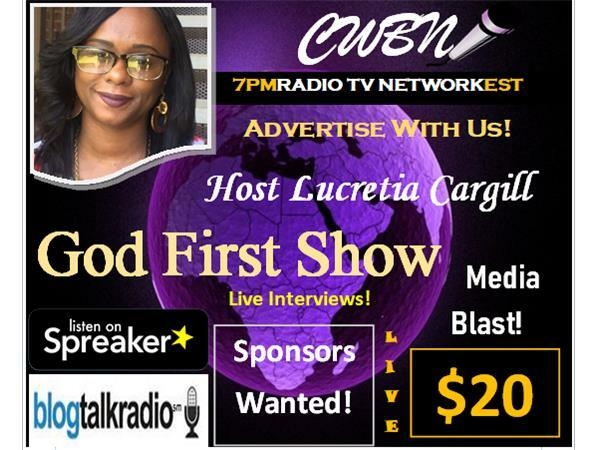 Join Lucretia Cargill this Thursday October the 11th at 7pm est. Her special guest will be Lolitha Terry. Lolitha Terry is a single divorced mother of three, a co- on a number one Best Seller “There Is Life After” by Linda Hilliard Williams , Lolitha is also an inspirational speaker, entrepreneur and business owner. Lolitha is an outstanding example of how to beat the odds when they are stacked against you. She has taken being a victim of depression, broken relationships, divorce, single parenting and financial distress to a trailblazing position of victory. 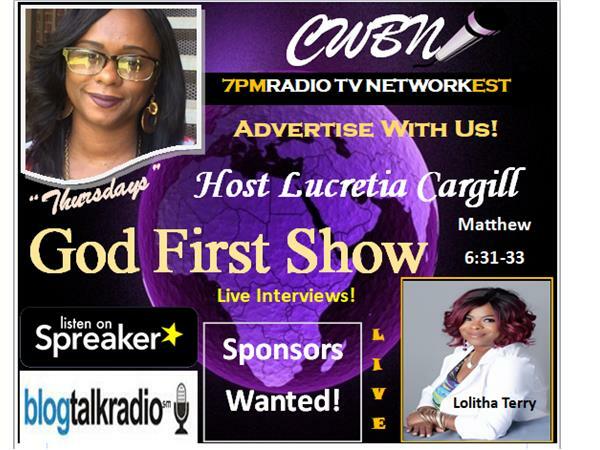 Starting over after 40, Lolitha is gravitating more and more into her God given purpose of helping women from all walks of life and diverse backgrounds to prosper by preparing them to become the “Boss Chics” that God created them to be. In her upcoming e-book, “The P5 Blessings”, Lolitha reveals how she has gone from Pain to Peace, Purpose, Prosperity and Power. Through life experiences, prayer, surrender and affirmations, she share how she is using the principles of the Kingdom to soar to levels in life that some only dream about. She is prepared to teach women how to find their true identities and live their best life every. Lolitha believes that “it’s not about how you started in life but how you finish” and that your past, your occupation, your education, does not define who you are. Would you like to be a special guest or are in need of #advertising? You can #sponsor this show for as low as $10. To Learn more please contact the host.